The Ashland Business Association is hold a business social event! Join us for an evening of drinks and hor d'oeuvres as we netowrk in a pleasant eviornemnt! 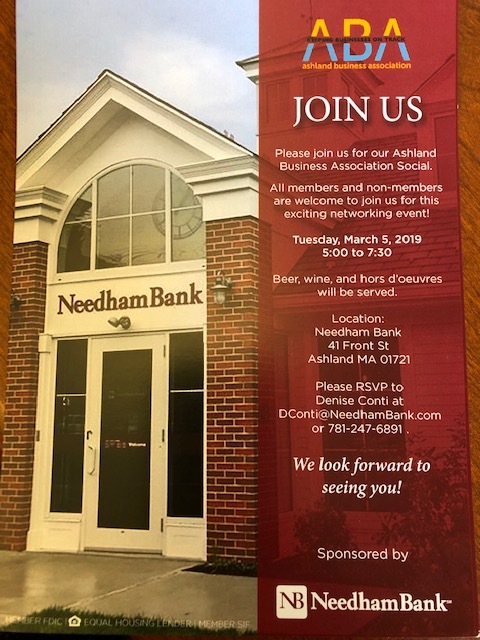 this ABA event is sponsored by Needham Bank!